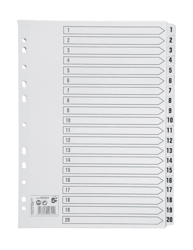 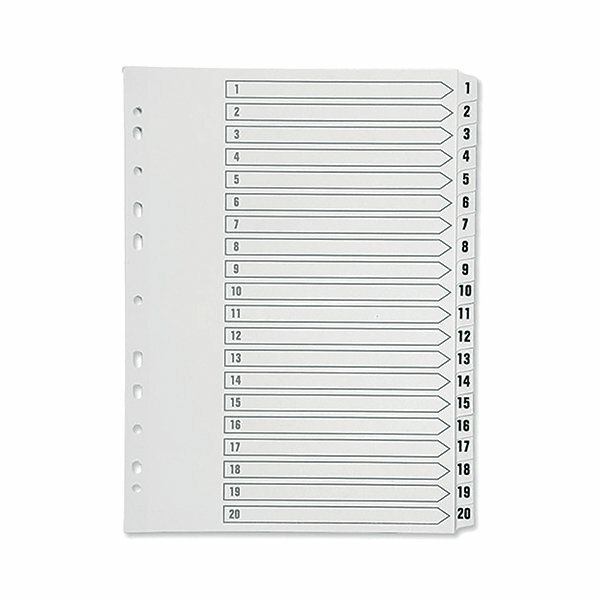 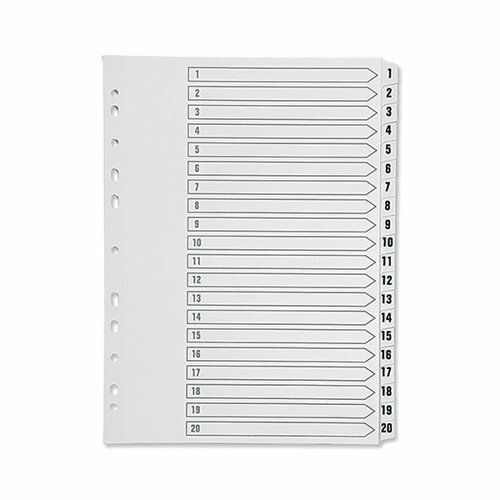 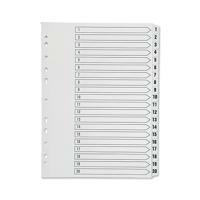 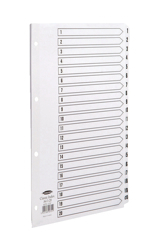 This Q-Connect 1-20 numbered index divider provides a clear and simple filing solution for your everyday office needs. 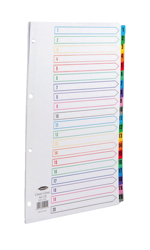 The front index sheet provides space for labelling to make referencing your notes quick and easy. 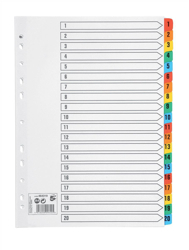 Made from plain white board with clear tabs that are Mylar-coated for extra reinforcement, this index comes with pre-printed tabs (1-20) and is multi-punched to fit standard A4 lever arch files or ring binders.